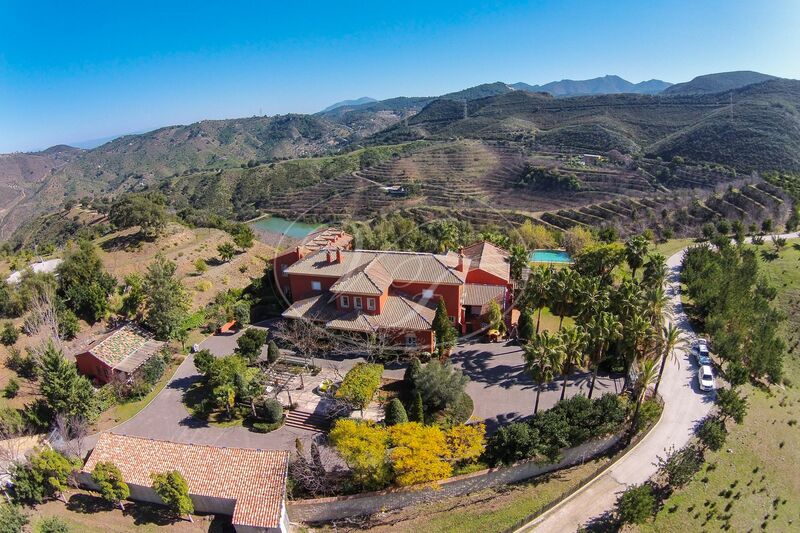 A shooting and equestrian estate, with a luxury villa, equestrian facilities and an old Cortijo to reform, close to Marbella, Malaga, Costa del Sol, Andalusia. 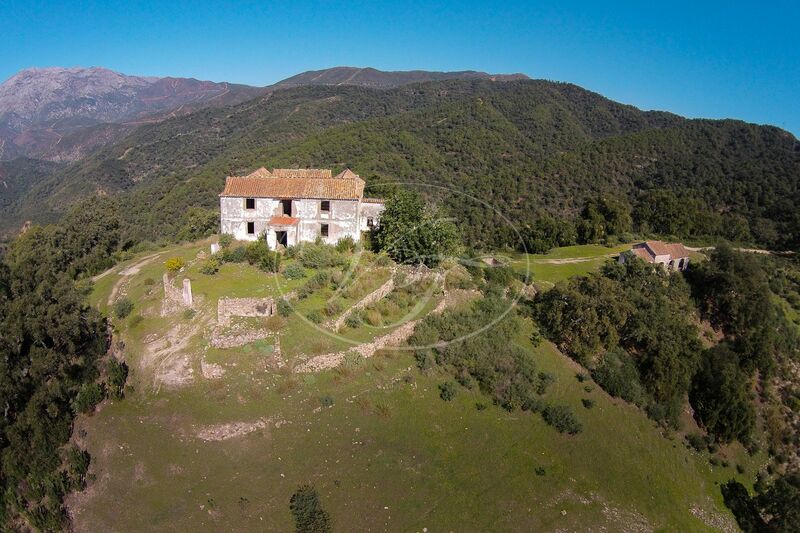 A unique possibility to purchase a large estate with hunting grounds, a luxurious villa of 1100 m2 build size, five staff houses and an impressive old Cortijo plus an old farmhouse, both to reform. 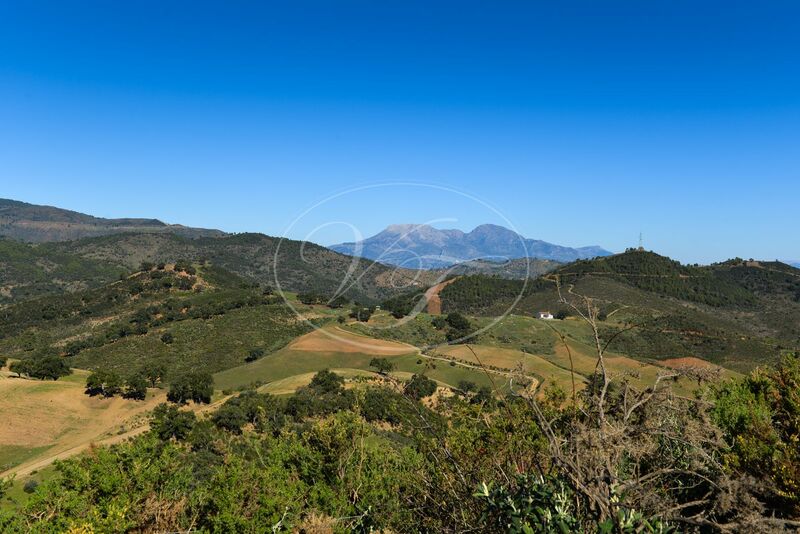 The land measures over 2300 hectares, and has hunting rights for big game and small game on 1300hectares, License for livestock, a large walnut plantation and cork production. 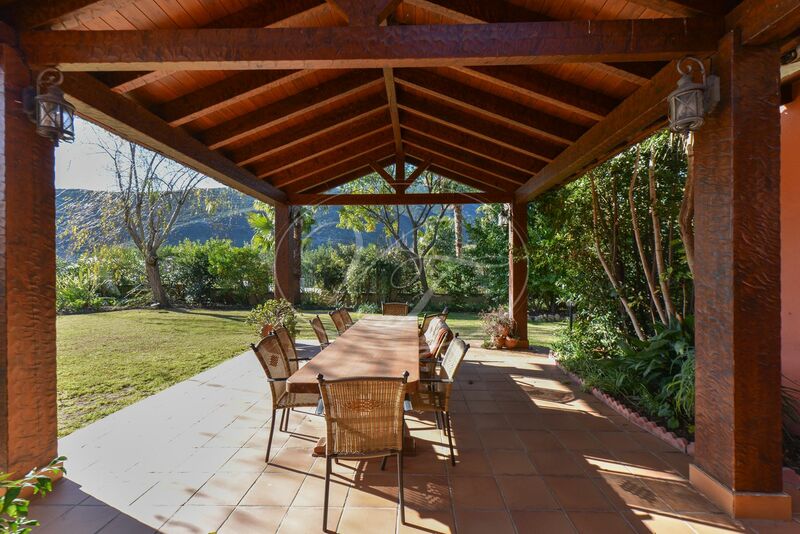 This Cortijo style villa is located completely private, in a beautiful valley overlooking the fields and the mountains. 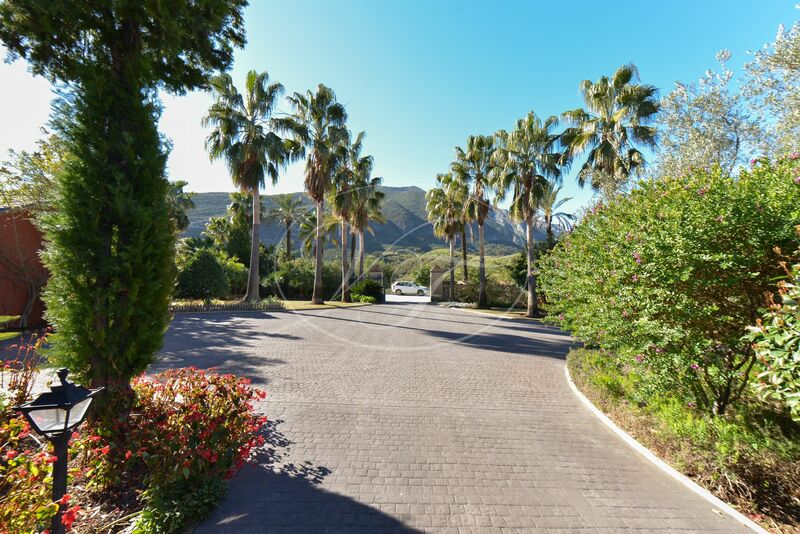 Here you can enjoy living comfortably, in peace and tranquillity, in the middle of nature, yet at only a 20-minute drive from Marbella and Puerto Banús. 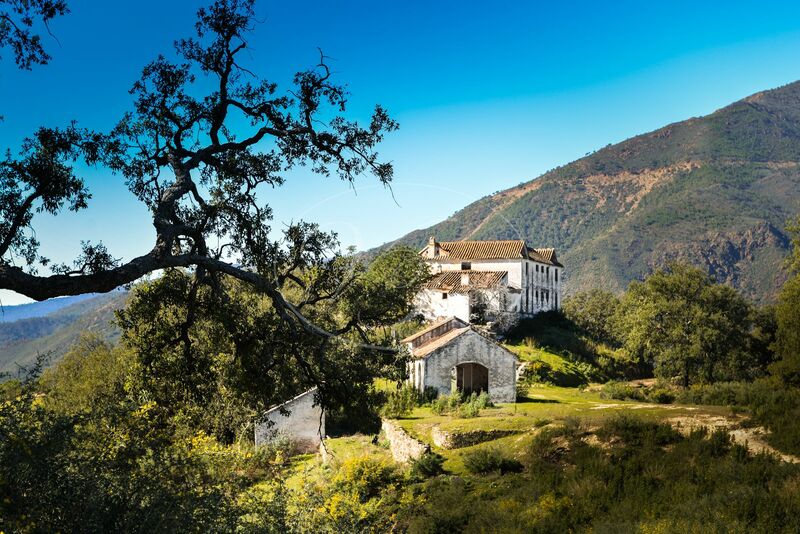 Driving over the finca, through the forest and the mountains, you suddenly arrive at a hidden treasure, the old Cortijo, dating from the end of the 19th century. 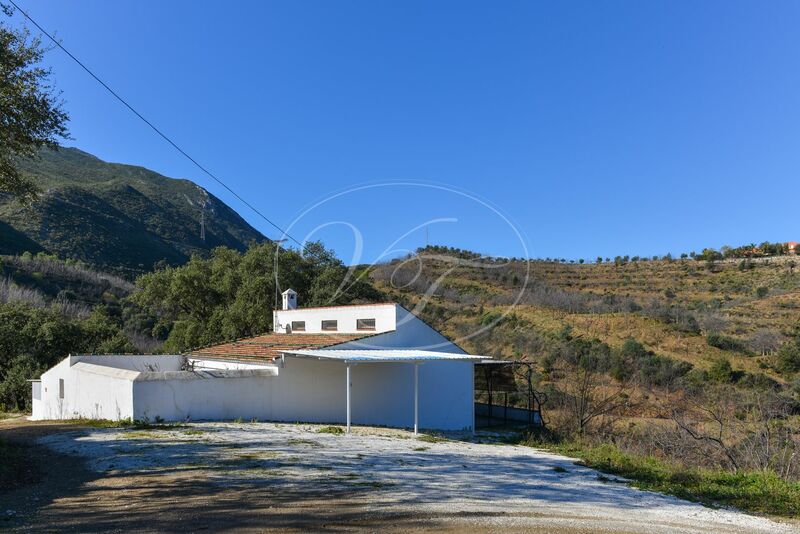 When building this Cortijo, the count has picked the most beautiful spot, with views overlooking the Mediterranean, the peak of Gibraltar and the Moroccan coast on one side and on the other side the Sierra de las Nieves. It can only be described with one word: spectacular! The entrance drive towards the main residence, the villa, crosses the grazing lands, currently used for cows, leading to the main gate of the villa. 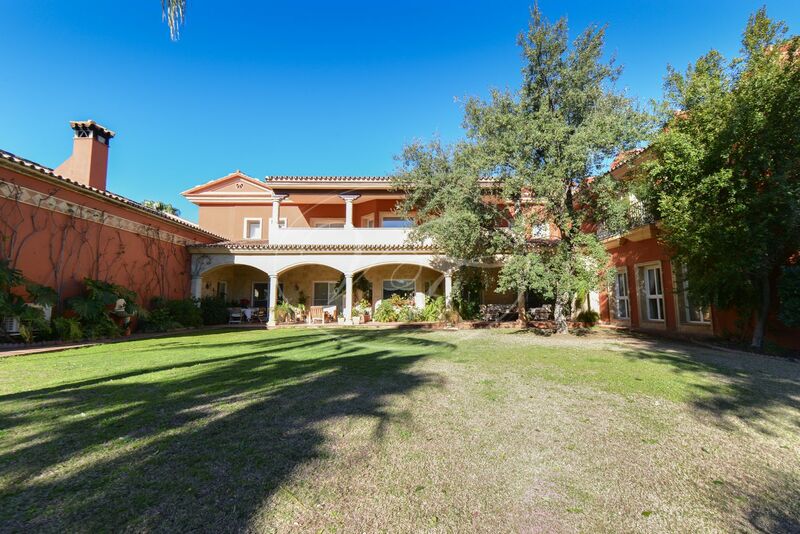 The courtyard has a covered parking area, access to a three bedroom staff house and the entrance to the main residence. 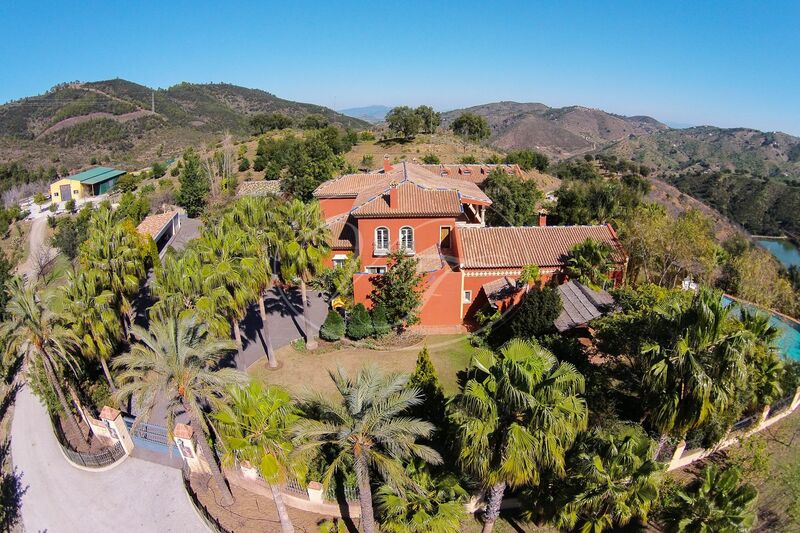 The villa with 8 bedrooms, a playroom, an office and 10 bathrooms are in top condition and have been built to a high-quality standard. 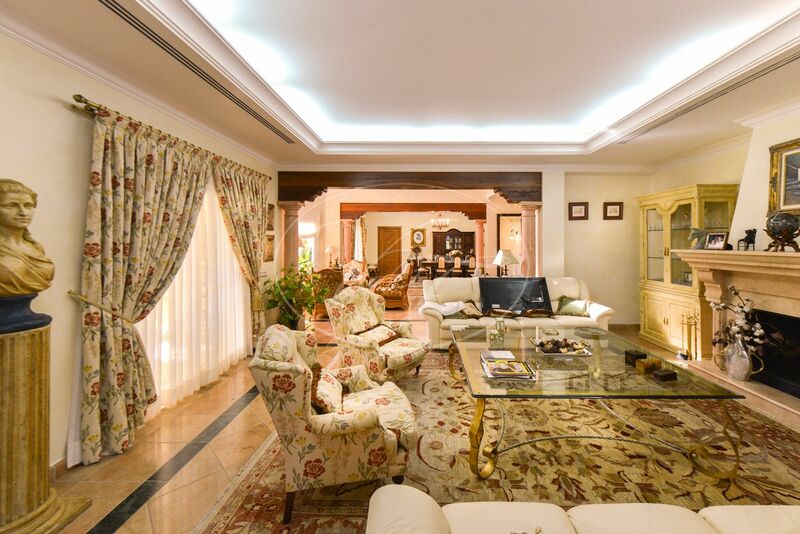 A large entrance hall, with guest toilet, leads to a very spacious living room, with several sitting areas and direct access to a large covered terrace. From the entrance hall, a corridor leads to a large playroom with bathroom and next to that is the fully equipped kitchen. 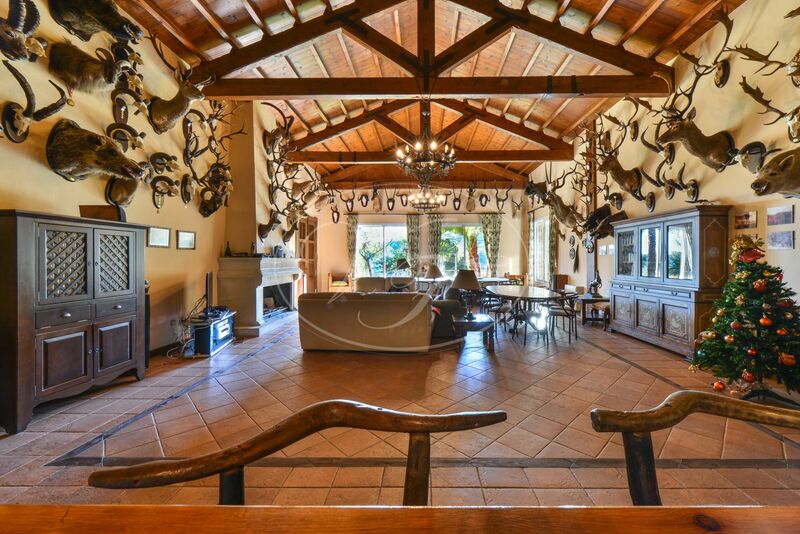 The kitchen has direct access to a large trophy room, which can be accessed from outside as well. The trophy room has a large chimney, 2 guest toilets, a bar and direct access to the BBQ area outside. Furthermore, on the ground floor, there are 4 guest rooms with bathrooms en-suite and a two car garage. On the first floor, in the centre, you will find the master bedroom, with private terrace, luxurious bathroom and large dressing room. In the left wing, there are 3 more suites with their private bathrooms. The right wing holds an office with direct access from outside. 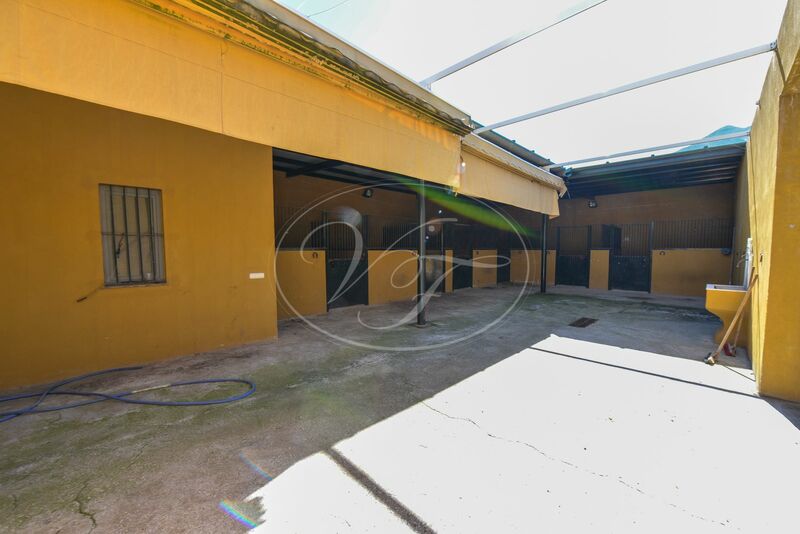 The basement has a heated indoor swimming pool, sauna, bodega and machinery room. 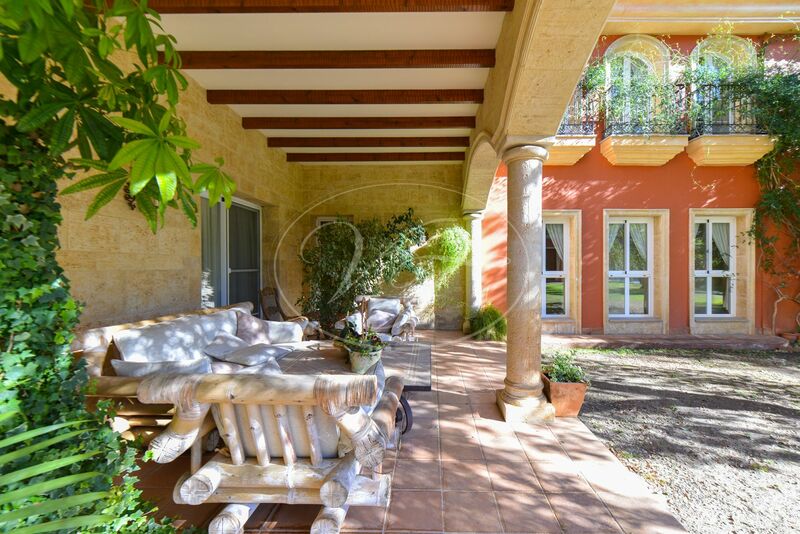 The villa counts with a lovely garden with many sitting areas, a lawn, large pool, a BBQ area and a play area for the kids. There are many flower beds and fruit trees. 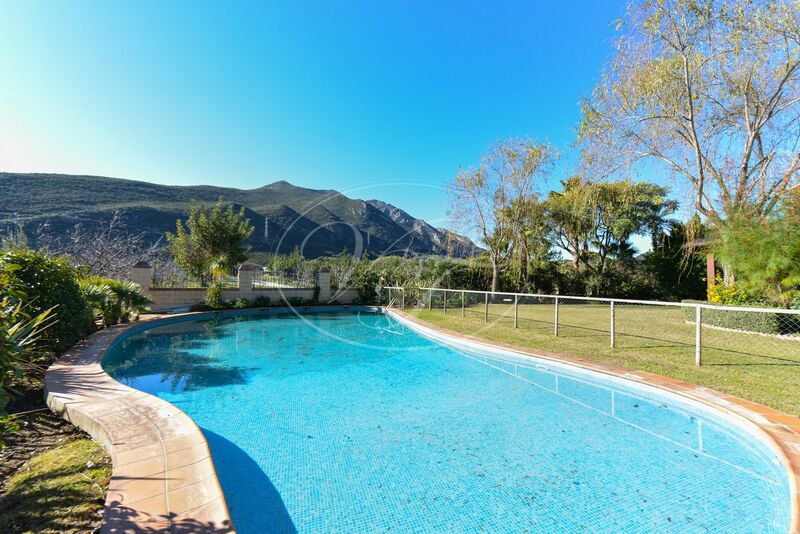 Wherever you are in the garden or the villa you can enjoy spectacular views over the surrounding valley and mountains. 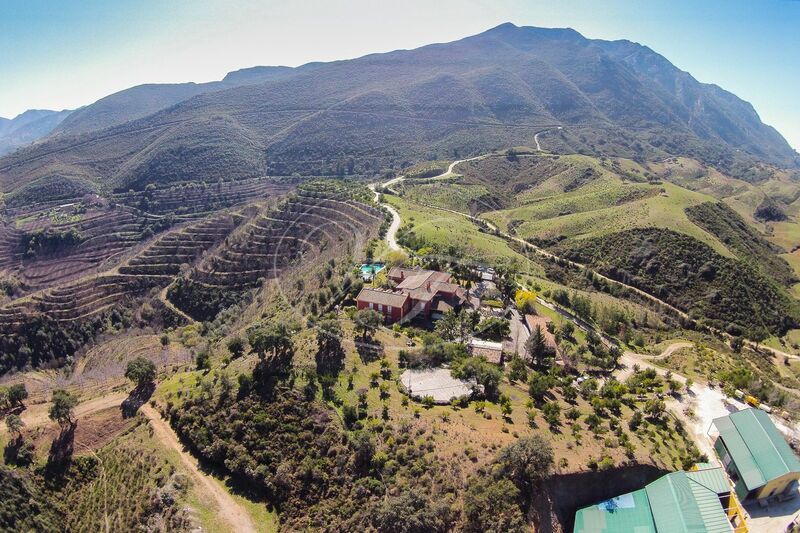 The finca also has another four houses. 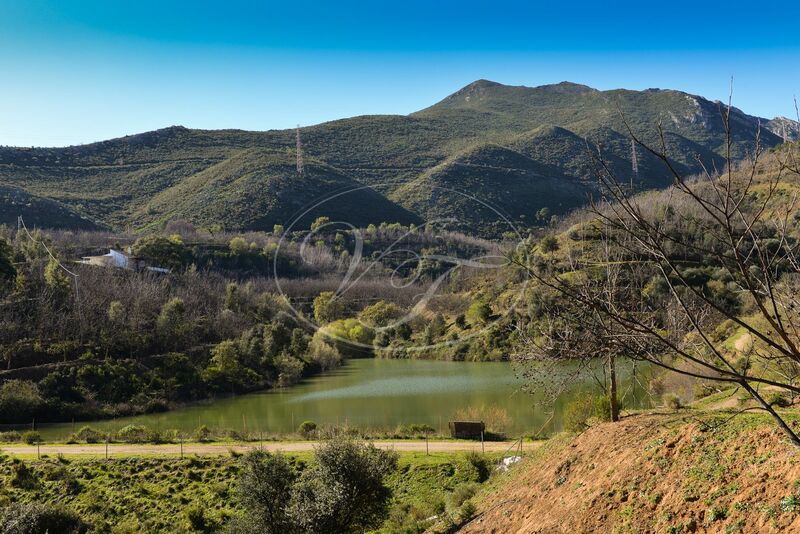 A two bedroom, one bathroom finca overlooking the lake, two reformed houses for the caretakers, One with four bedrooms, three bathrooms, the other with three bedrooms and one bathroom. 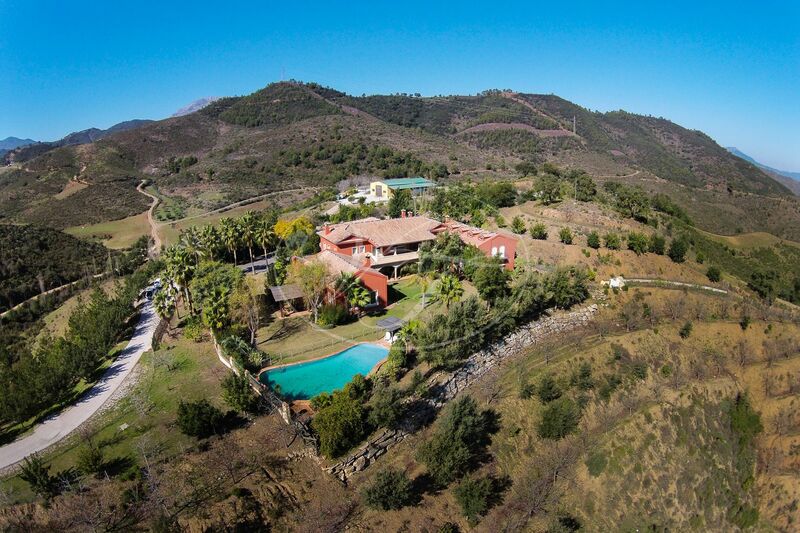 Furthermore, there is a guard house, overlooking the estate with three bedrooms and a bathroom. 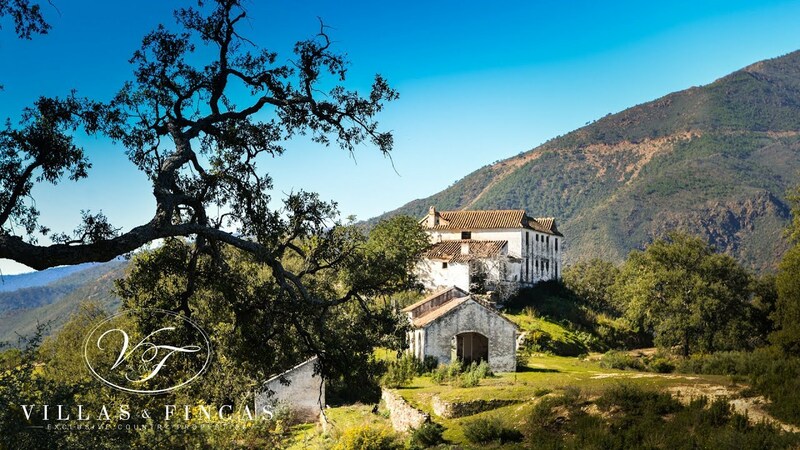 On top of these, the finca counts with an absolute treasure, the old Cortijo to reform. 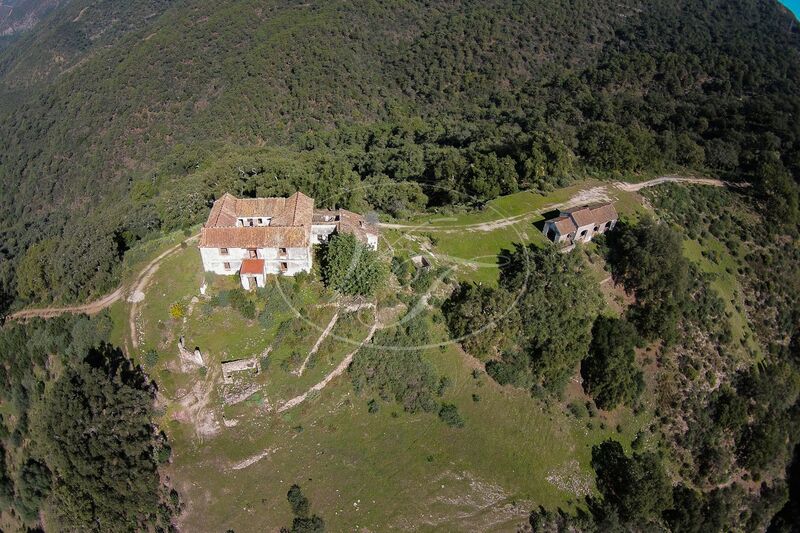 In a stunning location, completely private, in the middle of the forest and nature, with stunning views all around. 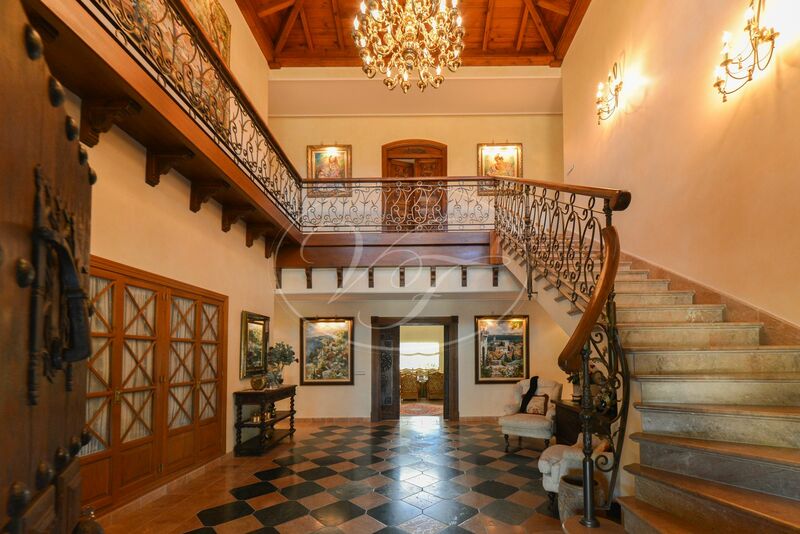 A unique project to bring back the old grandeur and glory of this property. 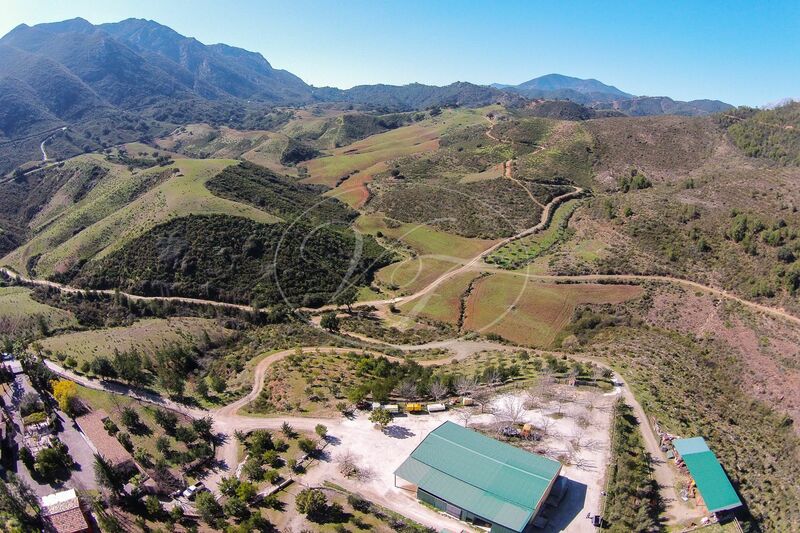 The property has 3 large barns for storage, one holds the ‘cutting room’ and a cooling cell to serve the hunters. 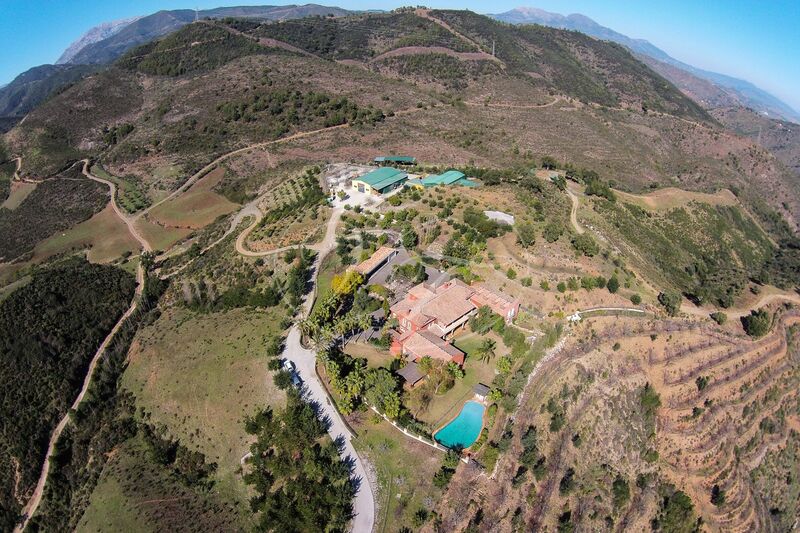 Furthermore, there are 6 boxes for horses, a tack room, haystack and a sand school of approximately 50m x 28m. 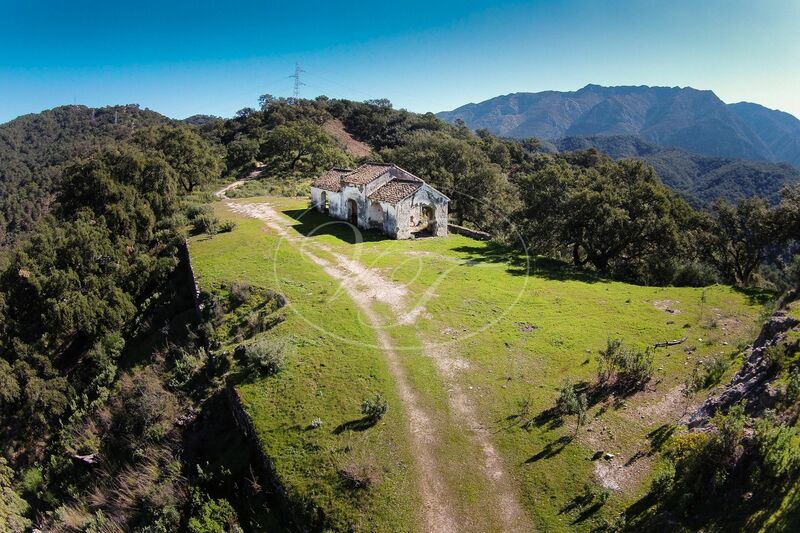 Hunting: Two hunting areas are established on the finca with rights for small and big game shooting. Species found are for example red partridge, rabbit, pigeon, and for big game wild boar, deer, ibex and mouflon. The areas are fenced off. Farming and agriculture: The pasture land (app. 45ha.) is currently used for cows and of course the wildlife. 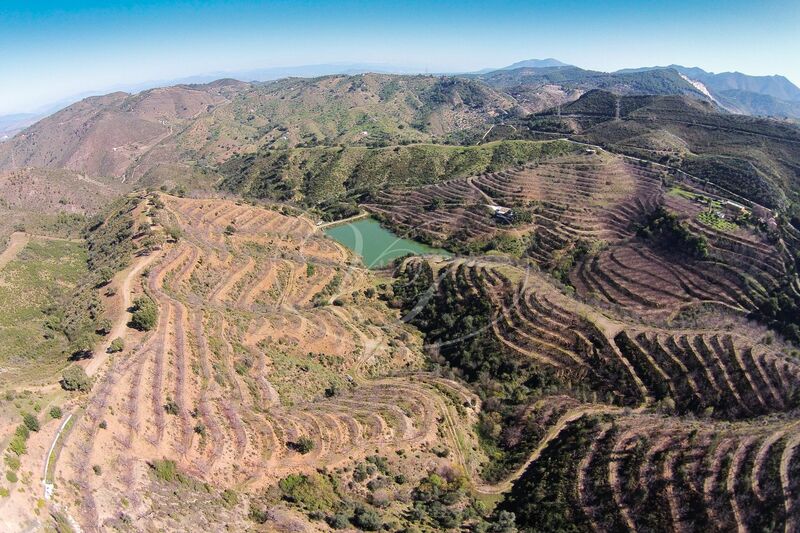 Furthermore, the finca has approximately 35.000 ‘quintales’ of cork, harvested over 9 years, 4500 walnut trees on irrigation, which have a yearly income but has also to be seen as a long-term investment to sell the wood. 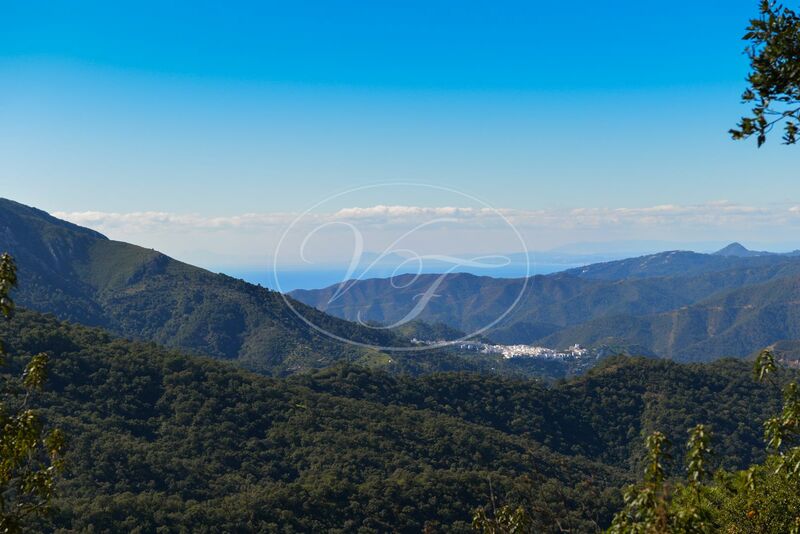 Water resources: The finca has a lot of water sourced by a river (rio verde), streams, and a spring. The spring feed a large lake, used for the irrigation of the walnut trees. The water supply to the villa is through a separate borehole. The caretaker’s houses are fed by another borehole and they can make use of the spring water for the garden. 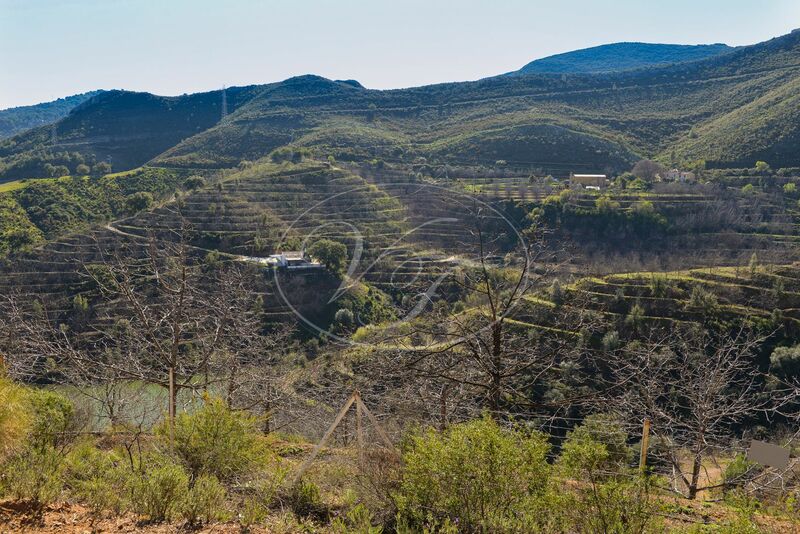 Electricity: The finca and villa have mains electricity through a dedicated transformer plus a large generator as back up. 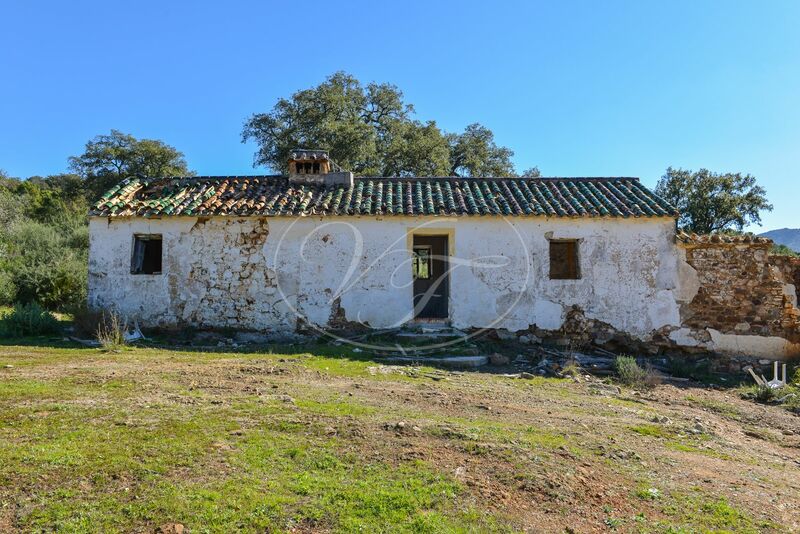 The old Cortijo and farmhouse have no electricity supply in place. This would have to be provided by solar panels with a backup generator. 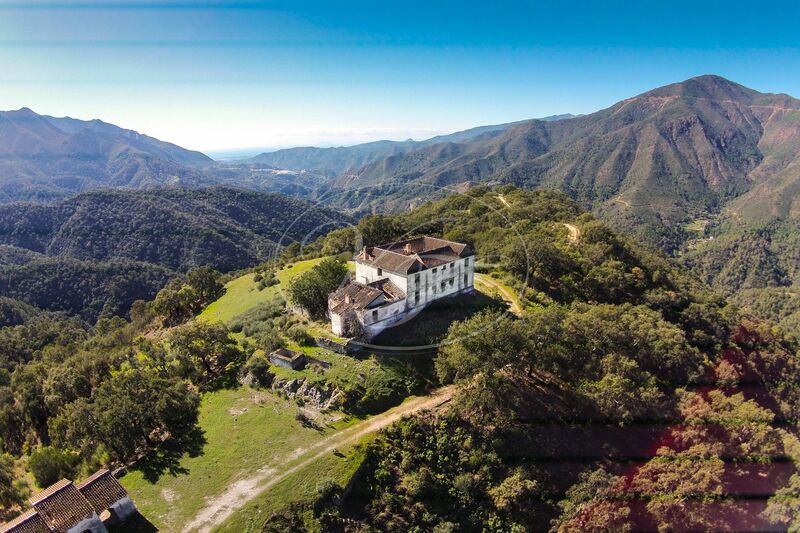 A unique estate with many possibilities. 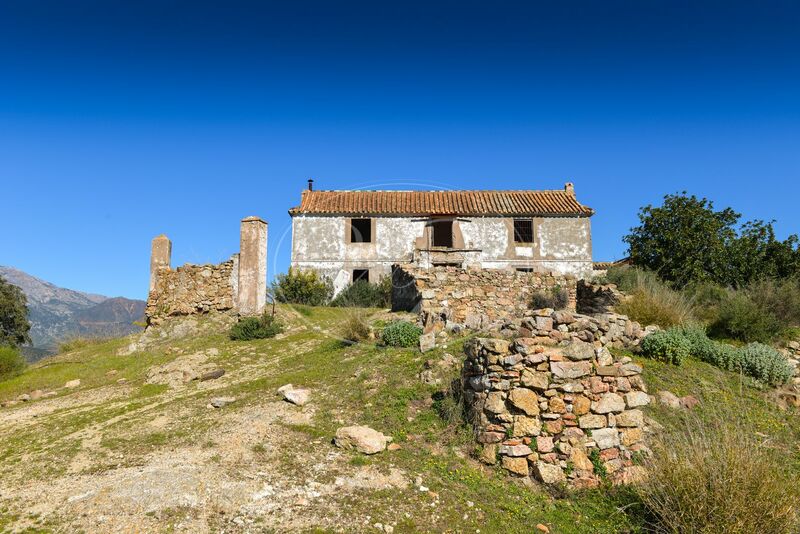 Ideal for someone who loves the country life yet doesn’t want to be too far from the coast and its facilities. 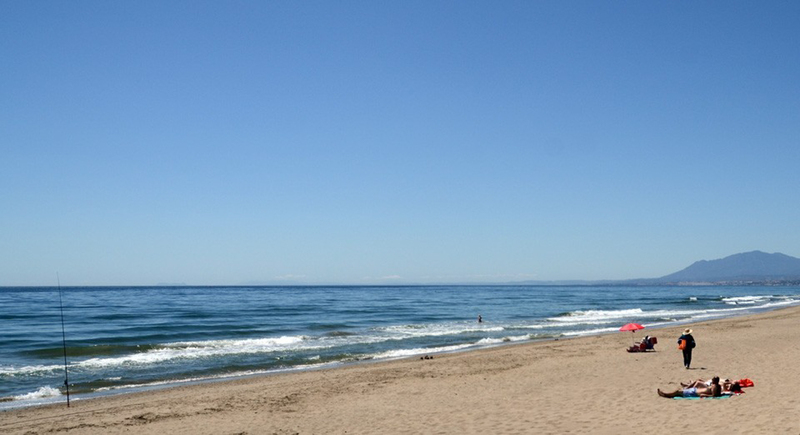 Marbella is at a 20-minute drive, Málaga airport at 45 minutes, Gibraltar at 45 minutes. 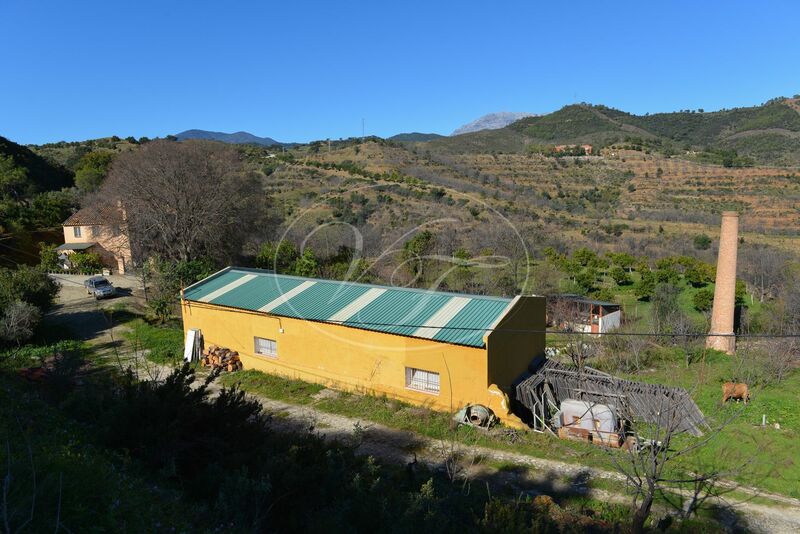 Please, send more information about ref 186-00578P, Estate in Marbella, Marbella or similar properties.